“I want you to know without my telling you”. Mel Calman was a cartoonist whose work appeared in the Daily Express, The Sunday Telegraph, The Observer, The Sunday Times and The Times. 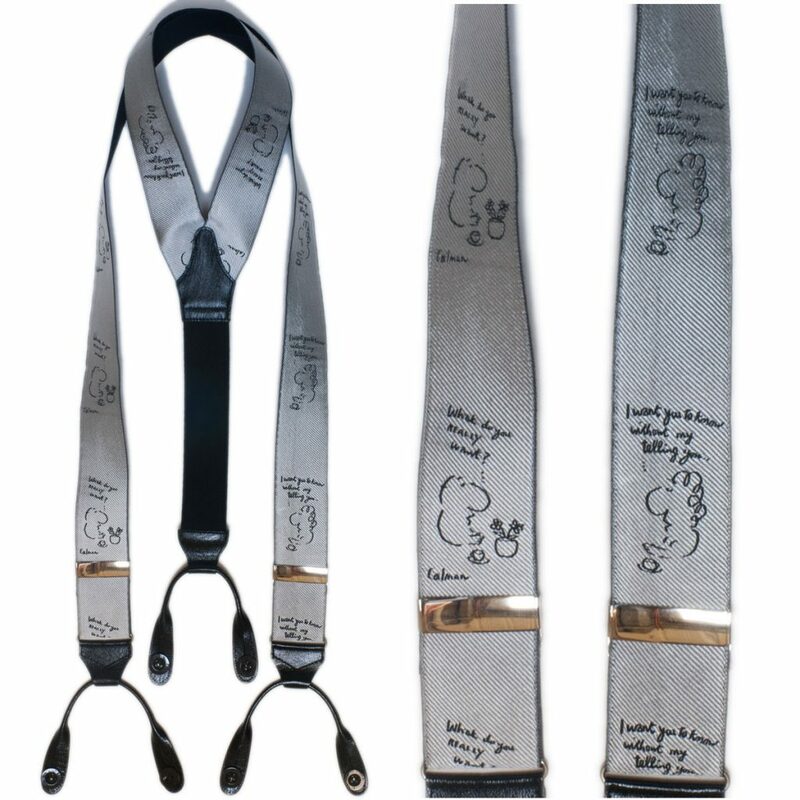 He died in 1994 and this design was first produced in 1998 as part of the Albert Thurston range of Limited Edition silk braces with jacquard facings woven by Papilionaceous in Devon.